The VR/AR Global Summit will bring together the most intriguing and innovative leaders in VR/AR/MR. Hardware developers, content creators, big brands, manufacturers and designers will gather to learn, share and discuss advancements in the industry. Collaboration spaces, hands on workshops, real conversations, Keynotes, presentations, marketplace and events will bring everyone together to shape the future. Come join us for this premiere event in one of the most beautiful places on earth, Vancouver, Canada. The conference is a new iteration of the CVR show that ran for 2 years in Vancouver. The event last year was attended by over 750 VR/AR/MR professionals on the Industry Day, with the entire event attracting 5000 people over 3 days for the expo. At the end of 2017 the original owners of the show decided not to continue with CVR and the VR/AR Association (VRARA) saw the opportunity to fill the gap, and the VR/AR Global Summit was created. 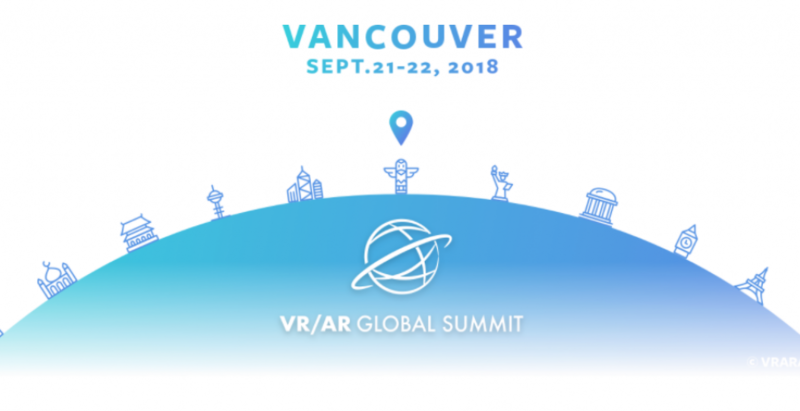 The VRARA will build on the momentum of CVR, plus use its global reach to bring together brilliant and creative minds in Vancouver in September. The show retains the same Executive Producer and will see the return of great speakers, sponsors, and exhibitors from previous year. Speaker topics include aerospace, blockchain, content creation, entertainment, gaming, haptics, healthcare, investment opportunities, storytelling, webXR, and much more.